Do you ever wish you had 4 hands? I just came across this product and thought I would share. 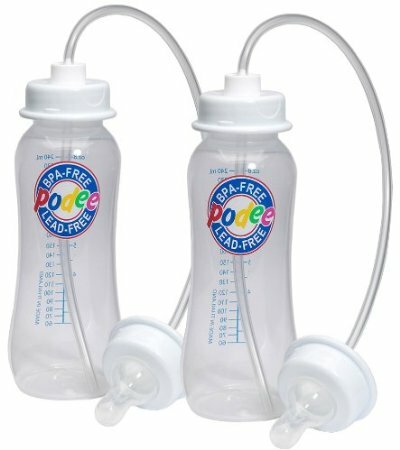 It may be useful for parents of twins or babies with reflux or other medical issues. It may also be helpful if you know you'll be taking a long car trip with an infant. I found it on Amazon but found it cheaper at Bed Bath and Beyond. Mama Bottom Balm - I swear by this stuff. Even if you're reluctant to try something so "crunchy" this stuff is said to bring peace to war zones. I give this to all of my expecting friends and the ones who have used it thank me profusely. Many have used it for irritation and itching even before baby is born and raved about the relief. Pregnancy and childbirth are not always glamorous, but it doesn't always have to be uncomfortable either. Soft Gear My Deluxe Changing Mat - It's soft, durable, and can be wiped clean and easily sanitized unlike other changing mats with cloth covers. In my experience you end up needing many cloth covers because they are always in the wash. This mat eliminates that issue at an affordable price. Medela Breastmilk Storage Solutions - If you are breastfeeding and pumping, this is a great set to get you started. Specifically, the little bottle caddy that sits in the refrigerator. No more guessing which milk is oldest/newest or reaching past bottles and other items to get to the oldest milk (which you probably want to use first.) It also carves out a nice spot in your refrigerator so that the bottles aren't spread out between leftovers. Piyo Piyo Baby Nail Scissors - Clippers are not recommended for baby's nails due to so many accidents. It is really difficult to clip their delicate nails without getting some of their skin, so scissors are recommended for more control and less damaging accidents. These are sharp enough to get the job done, but offer more control than regular clippers. A Swing/Bouncer Combo - I like this one because 1) It has an AC adaptor so you never have to worry about batteries running out at a critical baby soothing moment. 2) It has the option of detaching the seat and using as a bouncer which saves space and comes in handy when baby falls asleep but you want to go to a different room or take a shower etc. There are a lot of choices when it comes to swings, but pay attention to the features that will be important to you- maybe you would like one that runs on batteries or has a more compact profile. Obligatory Sophie the Giraffe Plug - Maybe I should tell you about how her legs are angled to perfectly align with your teething baby's molars, or about how adorably your child will laugh when she squeaks... My best advice regarding Sophie the Giraffe is not to buy it- because someone will inevitably give you one at your shower and you'll think of them every time your baby squeals with joy while chomping away at Sophie's legs! If you get TWO at your shower, thank them both, because when Sophie gets lost in the couch cushions or is in dad's car and he's away or you have your second baby and so on. You can always use a backup Sophie. There has been another Britax Recall for the popular B Agile Stroller which requires a repair kit provided by Britax. The recall is regarding the folding mechanism and lacerations (to parents and caregivers.) It's a good idea to keep yourself informed about the products you have purchased for your children by periodically checking safety recall lists and registering your products with the manufacturer so they can notify you of any hazards. I encourage parents to subscribe to the Consumer Product Safety Commission. You can choose to subscribe to areas of personal interest, or just baby/child related products. I want to start off the blog by posting a great deal I found on the Peg Perego Primo Viaggio. I have found that you can often get a great deal on baby items that you want if you are willing to go with a less popular color. Peg Perego Primo Viaggio on sale on Amazon if you choose the green or orange. I know this isn't the deal for everyone but the green looks like a leafy green to me and I would order it for a boy or girl. If you are looking to get your carseat checked out, it is no longer recommended that you visit the fire station or hospital. Look up a Certified Child Passenger Safety Technician near you using this website. I will be a Certified Child Passenger Safety Technician as of 3/22/14 and I am happy to help you with your carseat selection and installation! Please be patient as I discover the ins and outs of the new website. Please use the contact feature to send any feedback about how the site operates. I am very excited to have a new site and meet new families in Chicago. The families I have served here this year have all been amazing and I thank them for the opportunity to meet their little ones.